I am generating shadows using a voxel pyramid (commonly called voxel cone, although I hate that term). Some of my shadows come as expected, however some are very strange. If you look at the back column at the right, we have a neat soft shadow. 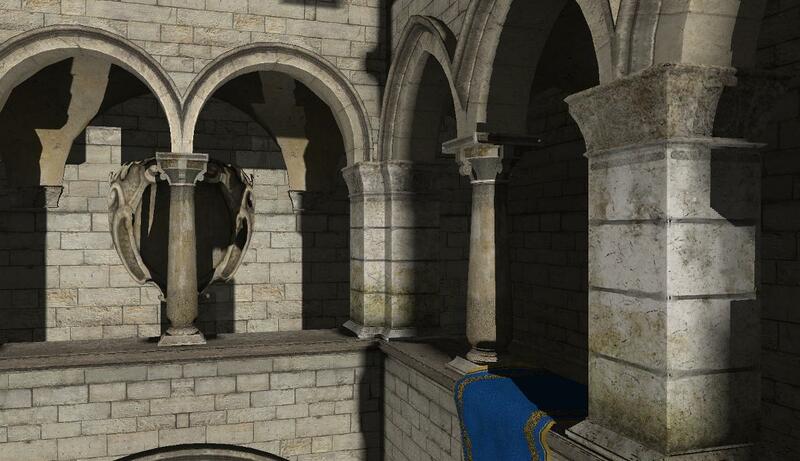 However the shadows over the shield are hard, As are the shadows on the other columns. I am not sure why or how these hard shadows are being created. Browse other questions tagged opengl rendering global-illumination voxelization or ask your own question.